What are air ducts and why must they be cleaned? Air ducts are tubes that are responsible for carrying the heated or cooled air throughout a building. 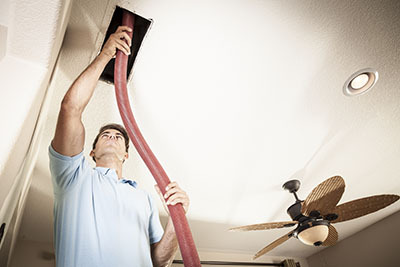 Proper and adequate air duct installation is necessary for efficient heating or air cooling. 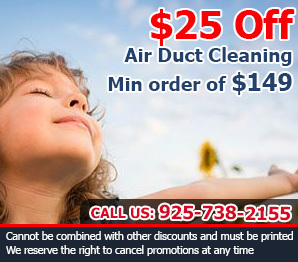 Thus, cleaning air ducts is needed to make sure that air is sufficiently carried to where it is supposed to go. 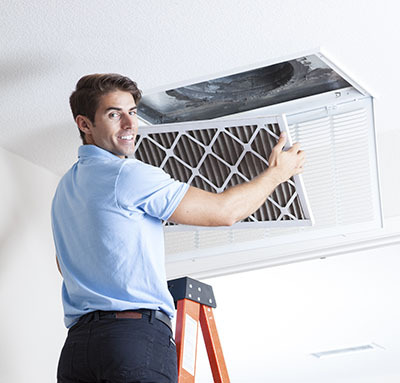 Experts at Air Duct Cleaning Danville suggest maintenance cleaning to prevent blockages that can reduce the efficiency of heating and cooling systems. How do I apply air duct sealing mastic? To apply the duct sealing mastic, you can use a brush, towel, caulking gun, or by your gloved hand. Mastic is a sticky substance that can be easily applied onto any surface. Apply it liberally on the surface that needs to be sealed. If you need to seal big leaks (bigger than 1/4 inch), make sure that the mastic does not move or settle down before it dries to make sure that it adequately covers the leak it needs to cover. How important is ventilation for indoor air quality? It is one of the core factors for keeping the air free from all kinds of pollutants including germs and chemical particles. Usually, a well-designed HVAC system will do a good job. For optimal results at all times, the system has to be properly cleaned and maintained just like all fixtures and appliances in the house. How often should allergy sufferers have their air ducts cleaned? This depends on a variety of factors, from the overall condition of the property’s HVAC system to the amount of pollen in the local area during spring time and the overall outdoor air quality. It is best for every homeowner to create an individual schedule for this kind of maintenance work, based on their needs and all other factors which come into play. What sources of air pollutants are there? All the air inside your house was once outside, so your HVAC units have to deal with a wide variety of pollutants. These can include insects' dusts, cigarette smoke, skin cells, mold spores, cooking smoke and chemicals from cleaning or personal care products.